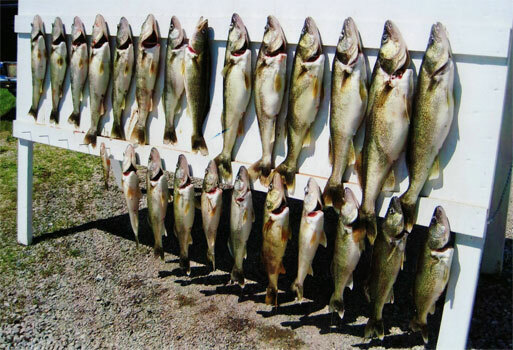 The season starts with Walleye in De Pere in March, and the Fox River follows shortly after that, depending on weather. Then from the end of April to the middle of June we will add White Bass, Blue Gills, and Crappies to the list. Walleye and Musky on Green Bay will be fished all summer long. Night trips in the fall for Walleyes are available on Green Bay. © Copyright 2019. Nelson & Nelson Guide Service. ALL RIGHTS RESERVED.